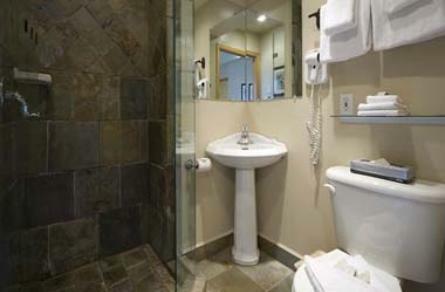 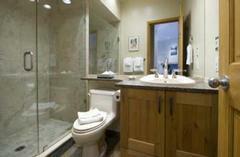 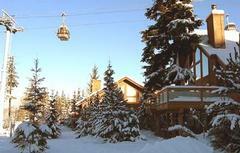 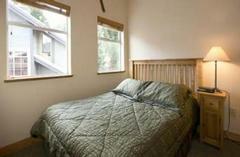 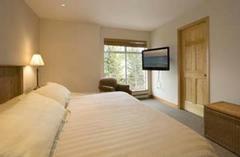 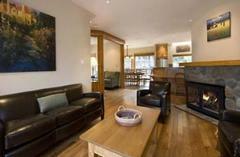 True ski-in, ski-out; best location in Whistler; private hot tub. Snowy Creek is unquestionably the most sought-after location in Whistler, combining true ski-in, ski-out with a 2-3 minute walk to the Village, hence offering the best of both worlds. 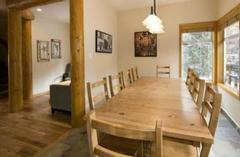 Unit 30 is a large (2300 sq. 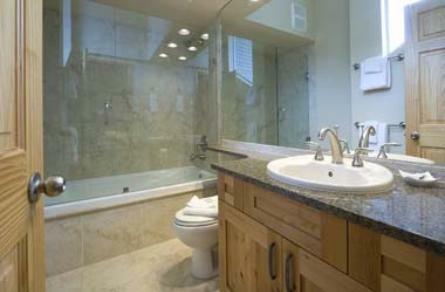 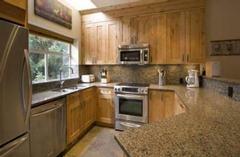 ft.) townhome on 3 levels, offering 5 bedrooms and 5 bathrooms, a private hot tub and room for up to 15 guests. 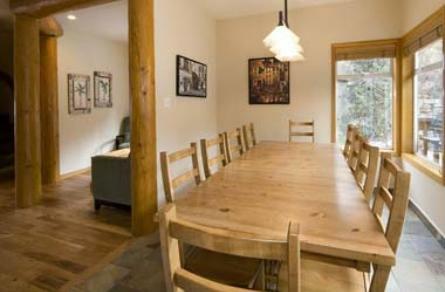 This is the perfect home for 2-3 families or large groups of friends. 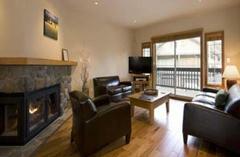 Entry is on the ground floor level, where there is a large storage area with 16-pair boot/glove dryer rack and plenty of space for outerwear and skis. 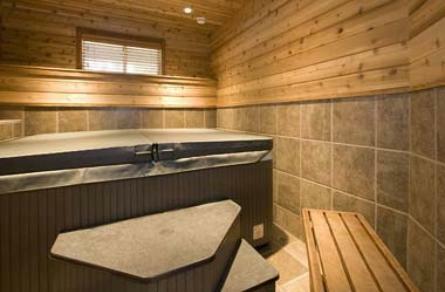 This level also contains the hot tub room, with a brand new tub and wood-panelled walls for that Finnish apres-ski ambience, as well as a bedroom tri-bunk (queen on lower level and twin/single on upper level). The main floor is given entirely over to the living and entertainment area, with gourmet kitchen including bar, spacious living area, dining table for 14 and separate den/games room. 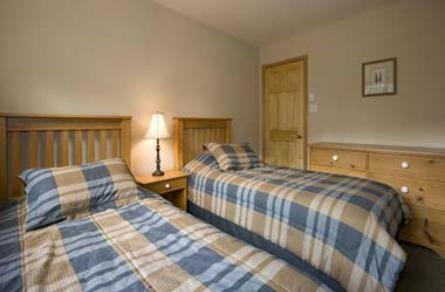 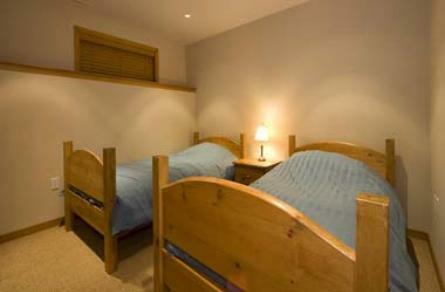 For large groups the den has a queen sofabed which will sleep 2. This level also offer 2 decks with a barbecue and a full bathroom. Upstairs are 4 bedrooms: the master with king bed and full ensuite bathroom with soaker tub; second bedroom with queen bed and 2 twin/single bunks (great for a small family); third bedroom with a king split (can be converted into 2 singles) and fourth bedroom with vaulted ceilings, a queen bed and an ensuite bathroom. This floor also contains a bathroom with full tub and shower.